Technology is powerful. It holds the potential to make us better. We’re on the verge of a massive shift in the way we do things - Communication. Entertainment. Education. Imagine a movie that takes place around you, rather than in front of you.Imagine a world where students experience history first hand, rather than reading about it in a textbook. Imagine experiencing the OnePlus 2 with us, right here, without ever leaving your house. Imagine how powerful that could be. VR is going to change the world, and we want to help make it happen. We have a goal. It’s simple, but it’s bold. Make amazing tech products, and make them accessible to everyone. 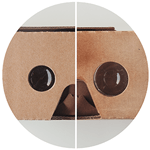 We applaud Google Cardboard for advancing the dream of bringing VR to homes around the world, but we believe it could be even better. Even more accessible. 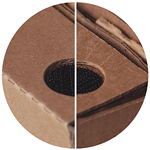 Compared to other Cardboard variations out there, we’ve used a stronger, thicker cardboard material and added high-quality velcro for maximum durability. Who said cardboard was supposed to be disposable? Optics have been fine-tuned to deliver the same amazing visual experience in a package that is 20% smaller. Designed to perfectly hug the OnePlus One, our Cardboard is also compatible with most devices up to 6” in size. Every inch of OnePlus Cardboard has been coated with a special film that repels dirt and oils, creating a premium feel that lasts. Avoid the dreaded “forehead stain.” You’ve never seen cardboard quite like this. This is not a product; it’s an initiative. We aren’t making any money by offering OnePlus Cardboard. In fact, we are losing money with each one. There will come a day in which everyone will be able to travel the world without ever leaving the comfort of their own homes. 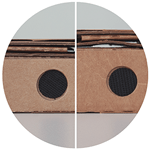 OnePlus Cardboard exists to drive this idea forward. 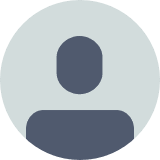 Sign up for our newsletter to be notified as soon as OnePlus Cardboard is available.